+$Digitise your creations easily with the help of this creative suite. +$For creatives, the digital side of their business can be daunting. 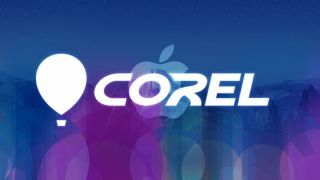 That's where+$The Corel Creative Mac Bundle Ft. Toast 17 Titanium+$comes in – a complete creative suite aimed at making life easier for those digitising their creations. And though this bundle of vital software typically costs $309.95, it's currently on sale for 87 per cent off at just $39.99. +$Whether you've painted a masterpiece, written a novel or created the next hit song, you're dealing with pretty large files. That's why WinZip is included in this bundle. This software is a great choice when working with large files, allowing you to zip and unzip files instantly. This will come in handy after you create stunning, high-quality photos with ParticleShop, an innovative brush plugin for Photoshop and AfterShot 3. +$Speaking of AfterShot Pro 3, it's also included in the bundle. This all-inclusive photo editing software happens to be the world's leading RAW photo-editor. Don't settle for compressed images via JPEG and other formats when this software lets you work with the original, high-quality snap thanks to AfterShot Pro 3's RAW converter. And if your photos inspire you to create your own rendering on a digital canvas, Painter Essentials 6 has all kinds of special tools to fuel your digital creativity. +$Rounding out the bundle is Toast 17 Titanium, Mac's number one digital media suite and DVD burner, which lets you can capture video directly from your device's screen, create movies complete with menus, chapters and titles, and turn your videos into professional-looking discs with Toast MyDVD.